Perryman Family Foundation Making a difference today for those who will make a difference tomorrow. James T. and Rose M. Perryman are much more than a happily married couple and the heads of a large and loving family. They are, and always have been, a team. That has been true in their home, in raising their children, in encouraging and being role models for their grandchildren (and now great-grandchildren), and it has certainly been true through the founding and impressive growth of the Perryman Company. The company reflects their approach to work and to life: Do it better, do it smarter, and make innovation a function of everything you do. The Perrymans have become leaders in their industry by building a company that takes pride in the quality of its products, their exceptional people and operations, the clear lines of corporate leadership, and a culture of open communication. 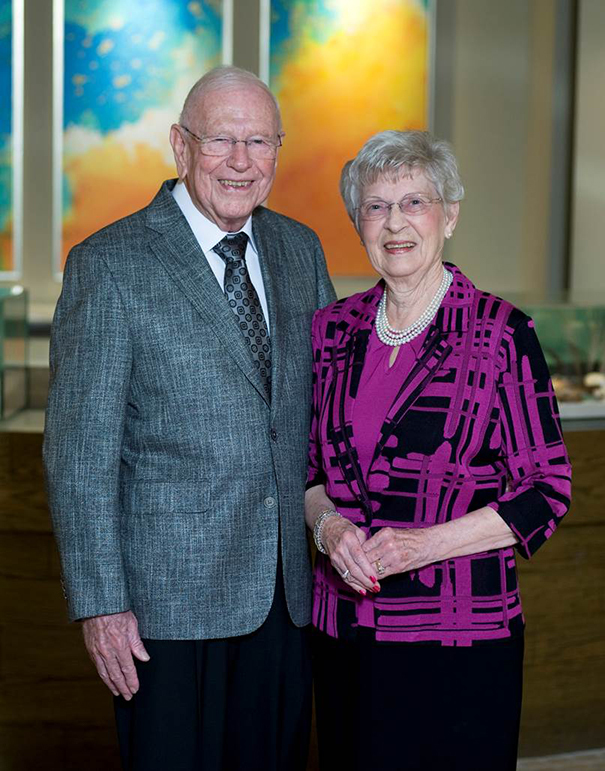 At the same time, Mr. and Mrs. Perryman feel a keen obligation to give back. Through the years they have done so by supporting their own local congregation and various charities around the world. Today they are continuing to give back through the James T. and Rose M. Perryman Family Foundation. It is their hope that recipients will then one day help others to succeed.